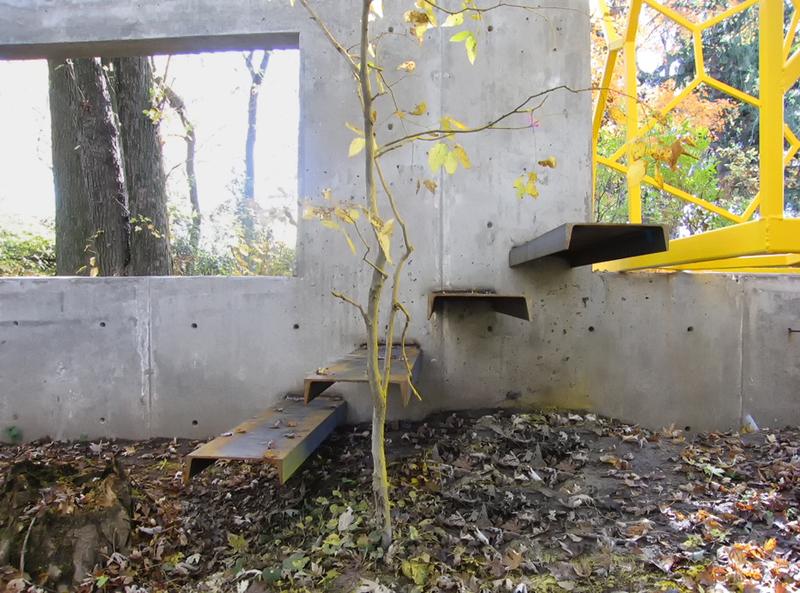 Collaborative design + build project with Michael DesBarres, located just beside the the historic area of Frank Lloyd Wright’s Wisconsin home at Taliesin in Spring Green, Wisconsin. 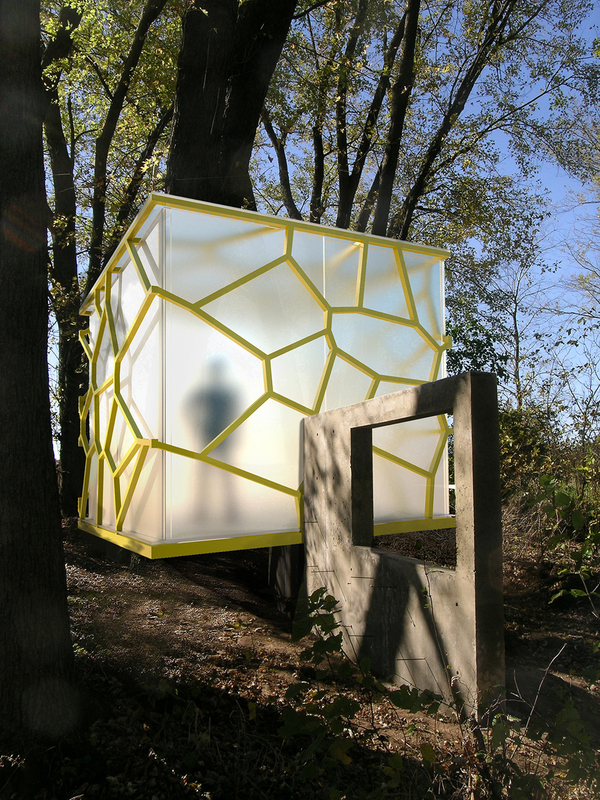 The cube’s Voronoi patterned structure was generated using a script by Gabe Smedresman for Rhino. It's combined lattice represents less than the amount of steel than would be used in a traditional steel frame structure, though considerably more work. Each connection is a triple-mitre, meaning each of the over 200 pieces of 1.5" square steel tube are cut with four (4) unique angles. No two pieces are the same. The 'planes' are assembled flat and held together with over 1000 linear inches (85 feet) of welds.